It’s not so hard to find a scenic drive in Iceland. Basically, you just need to start driving. But there are two circles that are especially popular to drive around: the Ring Road and the Golden Circle. 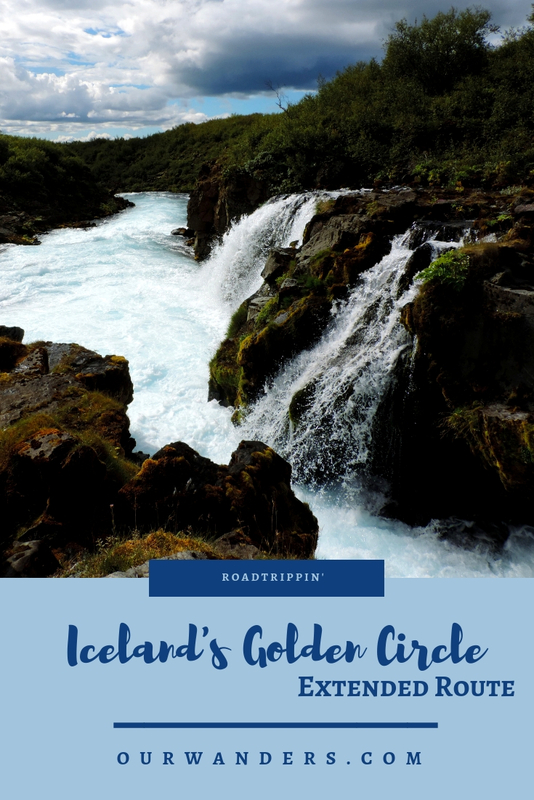 While the Ring Road goes around the whole island and you need about two weeks to drive it all the way, the Golden Circle is a much shorter drive in Southern Iceland, quite close to Keflavík, the country’s only international airport. The Golden Circle is short (usually a one day drive), pretty and easy to access. 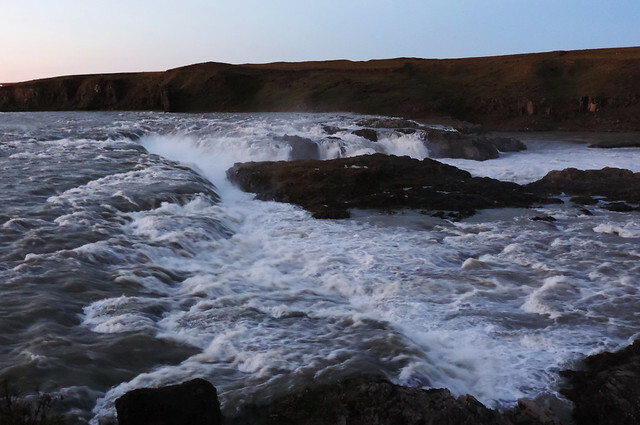 No wonder, it’s on the list for almost everyone visiting Iceland. 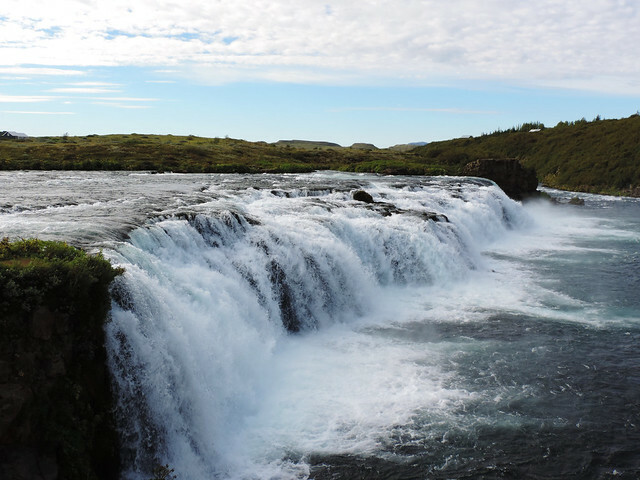 Usually the “mandatory” stops on the Golden Circle are Kerið, a blue lake in a volcanic crater, Faxi, a small but lovely waterfall, Gullfoss, a huge and spectacular waterfall and Strokkur Geysir, the only active geyser in the country that erupts every 10-15 minutes. 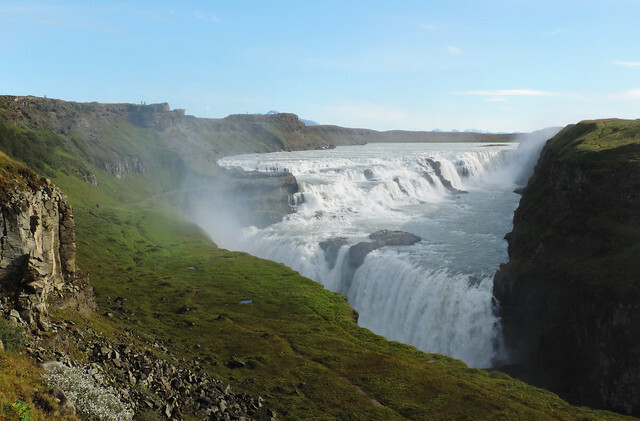 Gullfoss, this stunning, powerful, 32 metres high two-level waterfall fascinated us. Strokkur Geysir and the small geothermal area with bubbling hot springs were also quite impressive, we’ve actually waited for several eruptions. (And we didn’t take any photo of the eruption. It was the time to take the camera down and enjoy every second of this spectacular phenomenon). 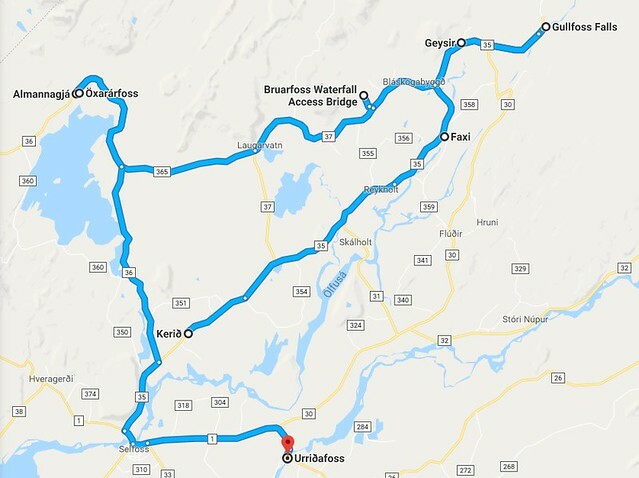 In addition to these stops, we did a short hike to Brúarfoss. It was a 7 kilometres round-trip along a turquoise river with three waterfalls on the way. Brúarfoss was the last and most spectacular one! It’s a twin waterfall with an underwater canyon in the middle. 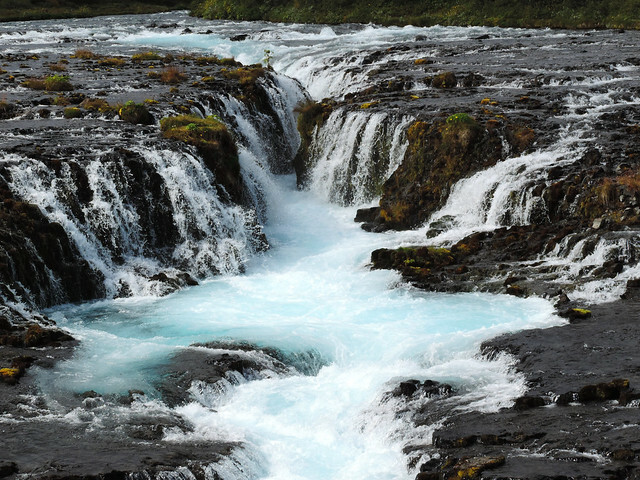 Its special shape and the dreamy turquoise color of the water made it one of our favorite waterfalls in Iceland. We could only recommend to include it in your Golden Circle itinerary. 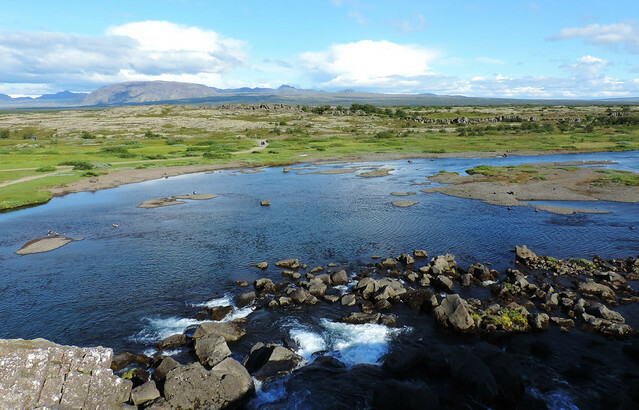 Then we drove to Þingvellir National Park – a park, that’s very important in Iceland’s history since the first parliament in the country was established here, in the gorge of Almannagjá. The name Þingvellir itself means “Parliament Plains”. 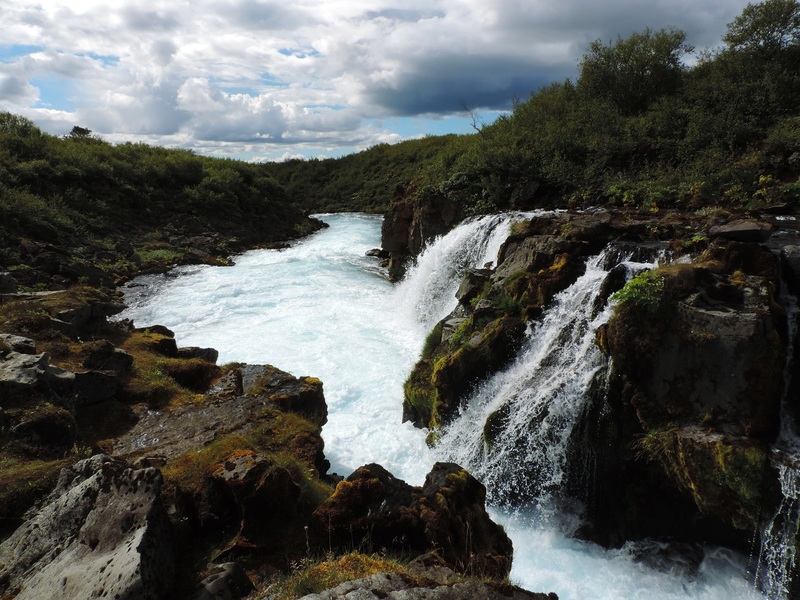 There’s a lovely trail in Almannagjá canyon that also gives access to Öxarárfoss (yes, another waterfall) and offers views of Þingvallavatn lake and its surroundings. Our last stop was Urriðafoss. It’s a bit further from the Golden Circle and it’s not one of the largest waterfalls, still its calm beauty is enchanting. And it looked like not much people know about it. So we ended the day with a waterfall, again.